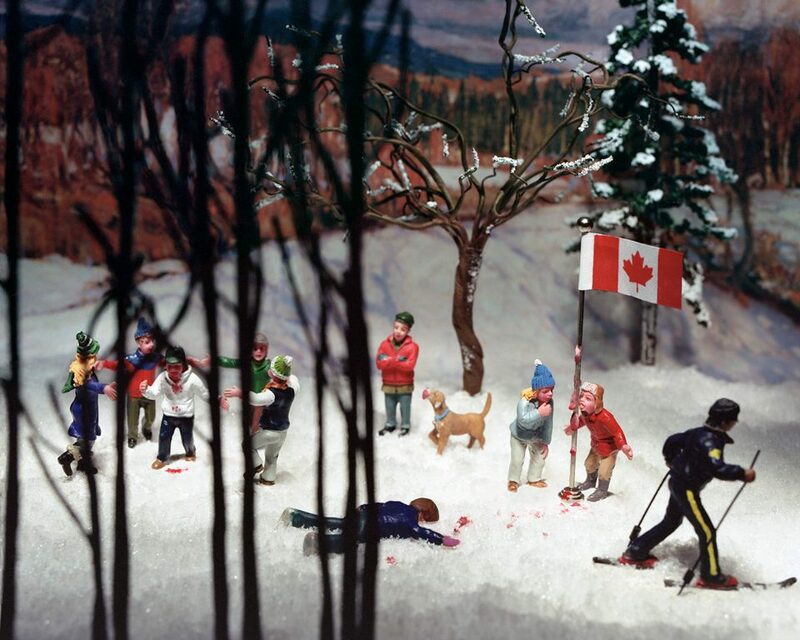 Canadians have a funny kind of national identity, meaning specifically we do not really have one. 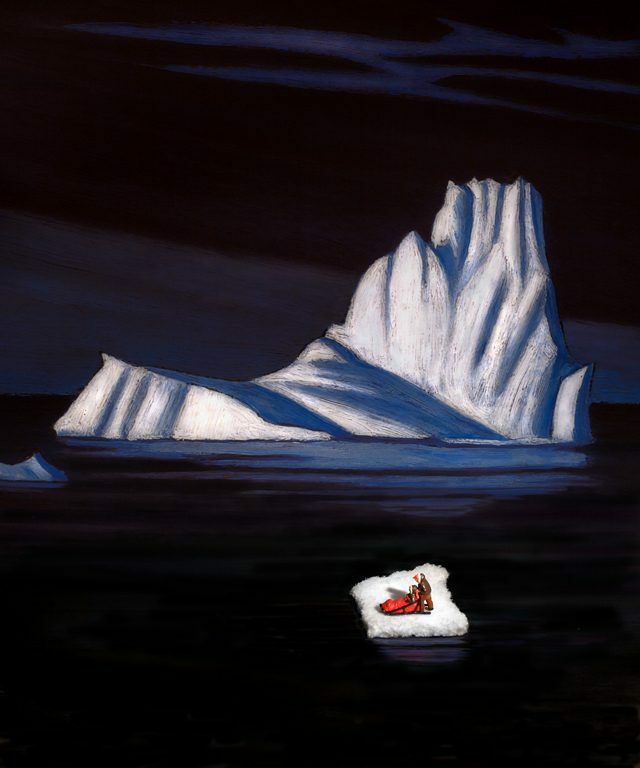 To say that there is a national identity is to enter into a discussion without end -because there are just too many different kinds of people in Canada- it would be impossible to pin identity to anything, let alone a top-down Multicultural Act, or a Group of Seven. 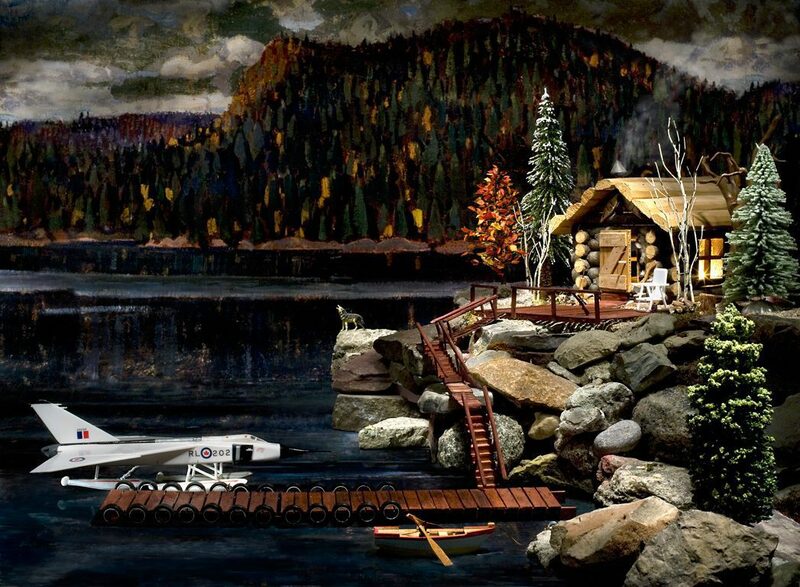 Strangely though, in art, that is exactly where Canadian begins, with a Group of Seven. 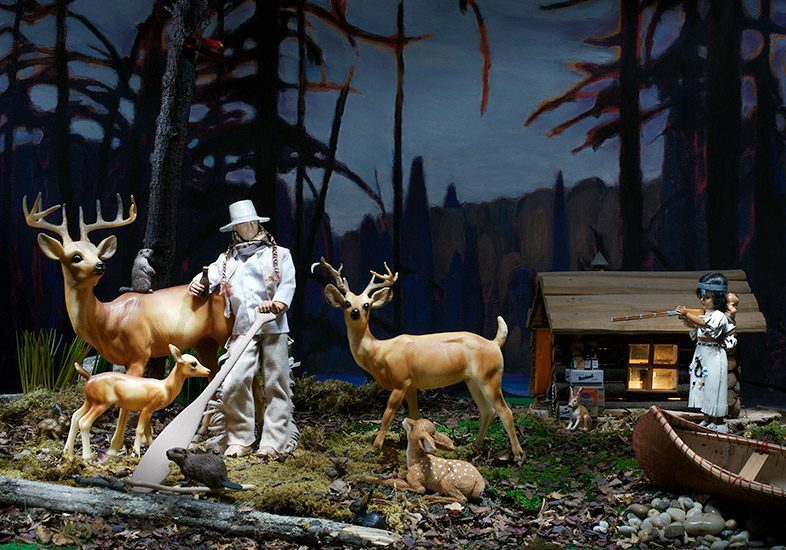 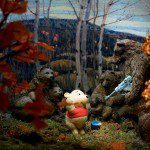 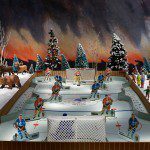 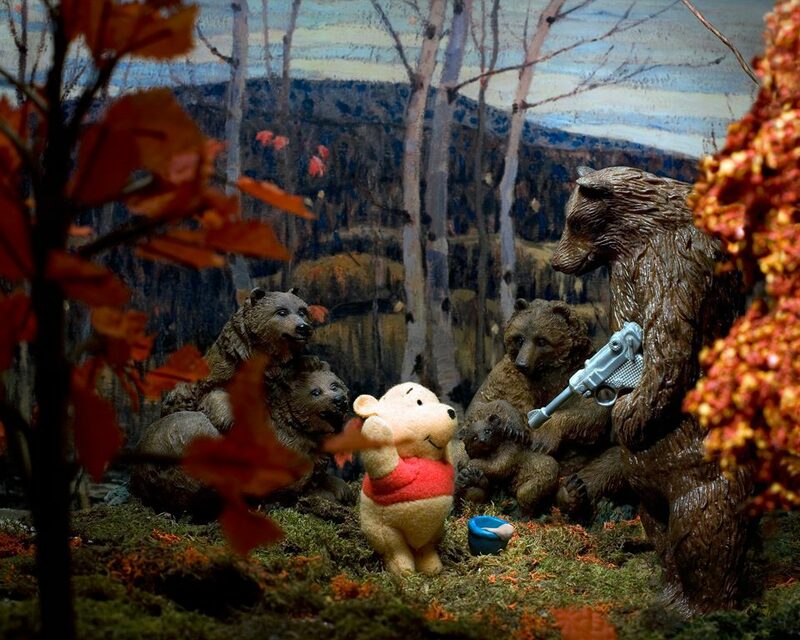 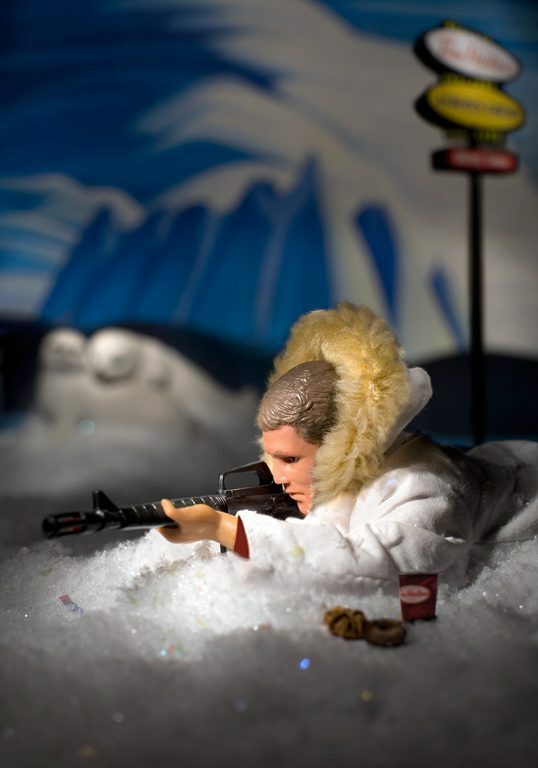 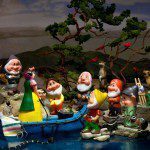 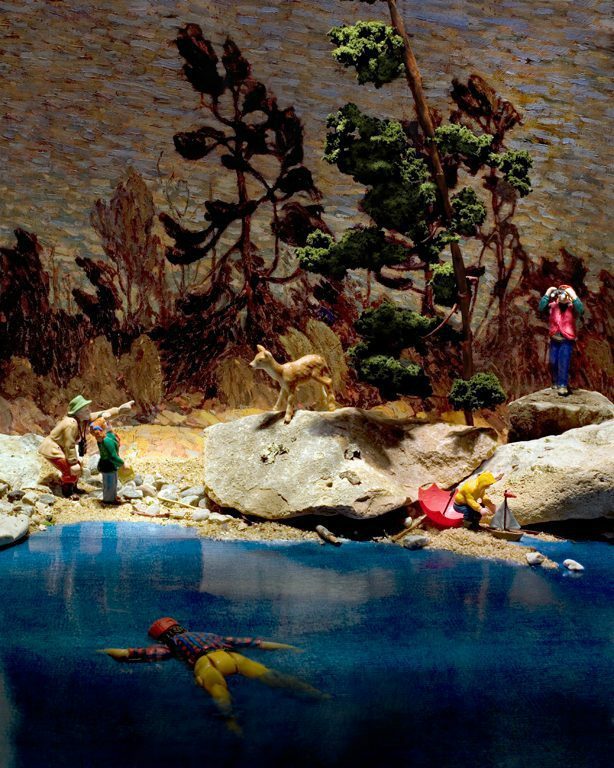 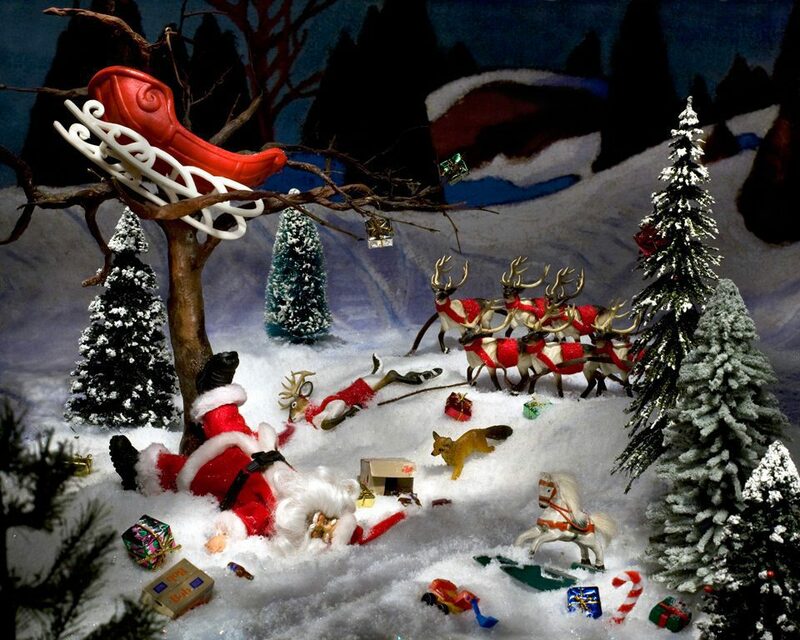 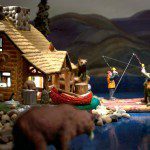 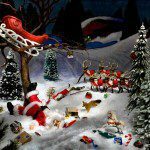 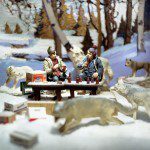 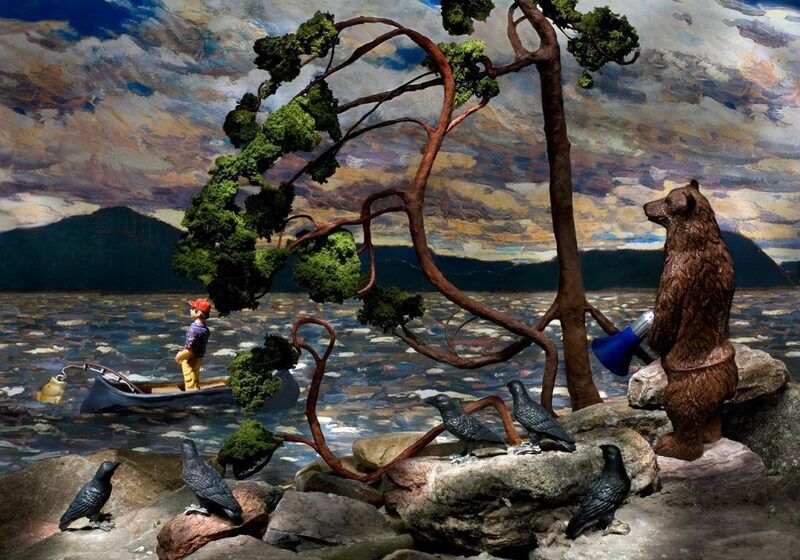 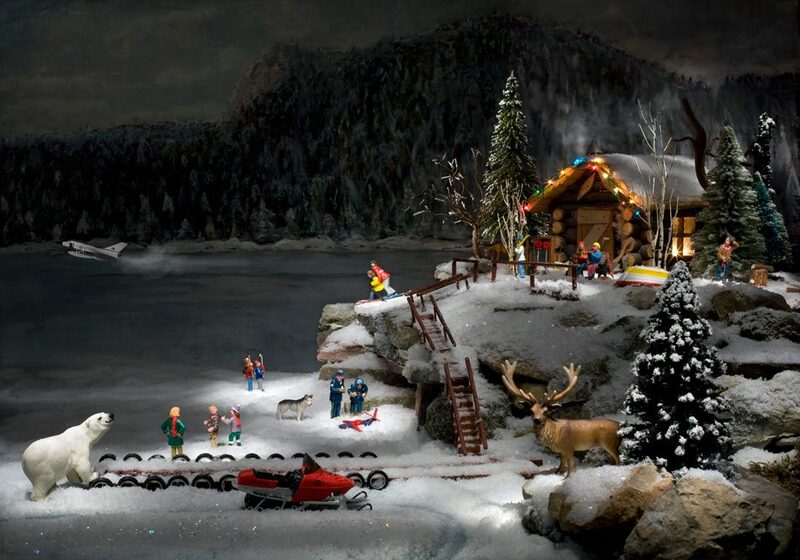 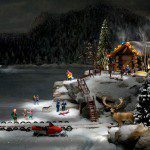 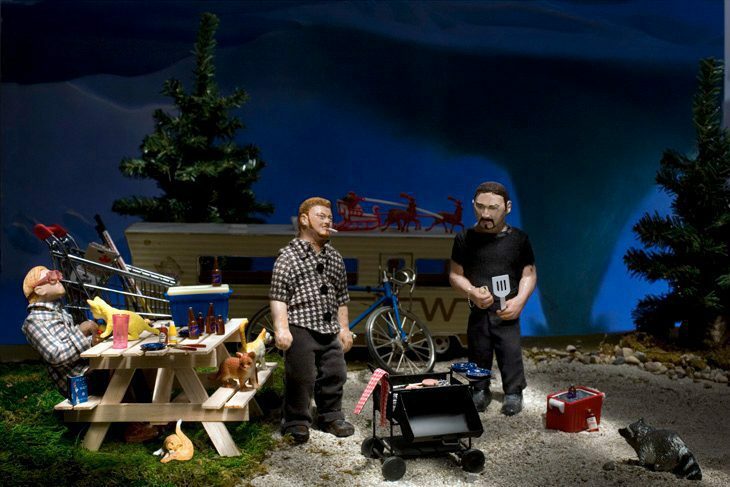 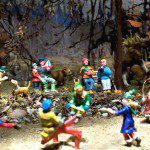 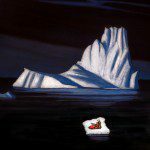 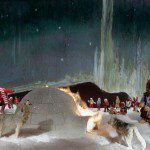 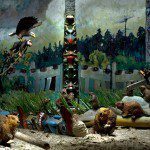 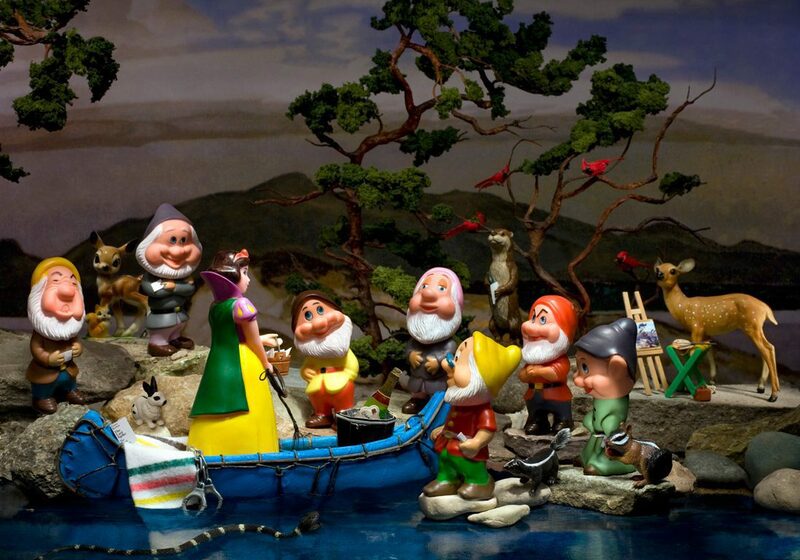 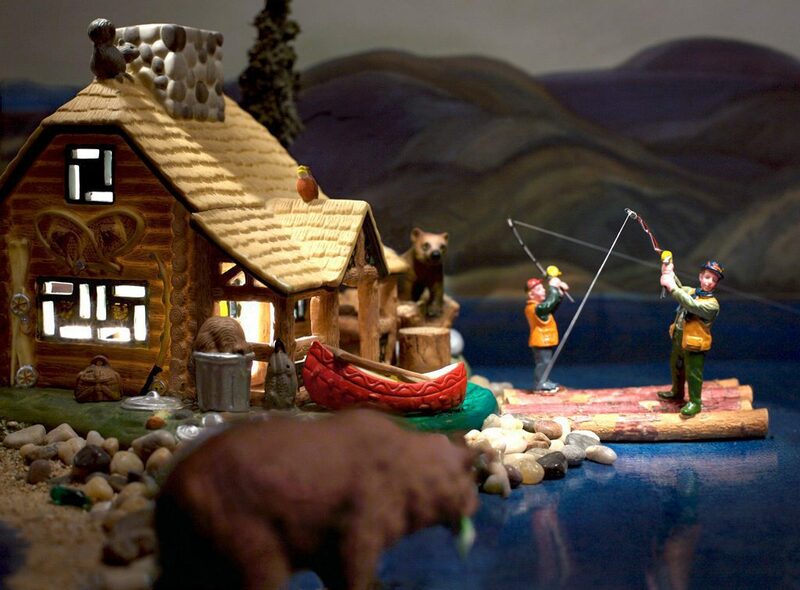 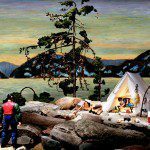 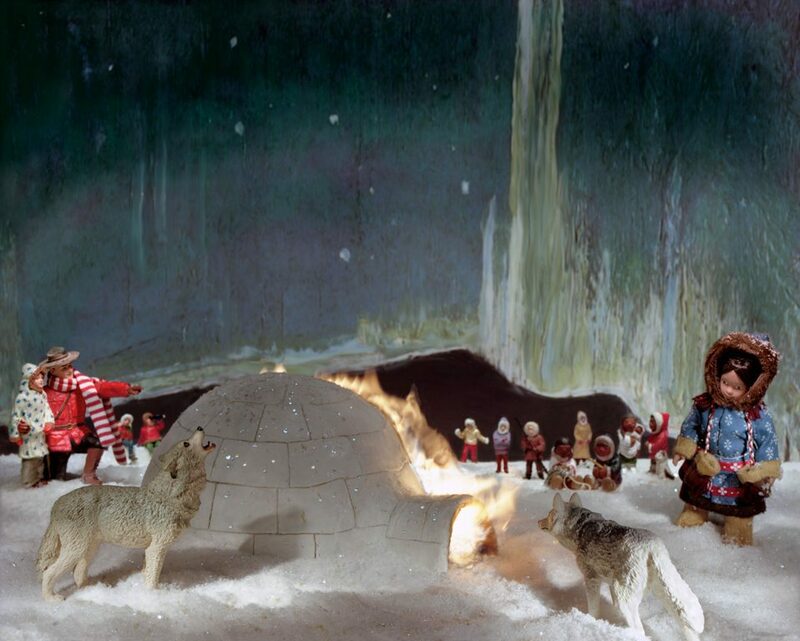 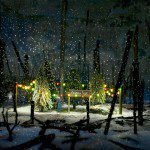 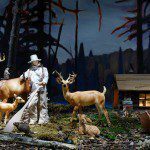 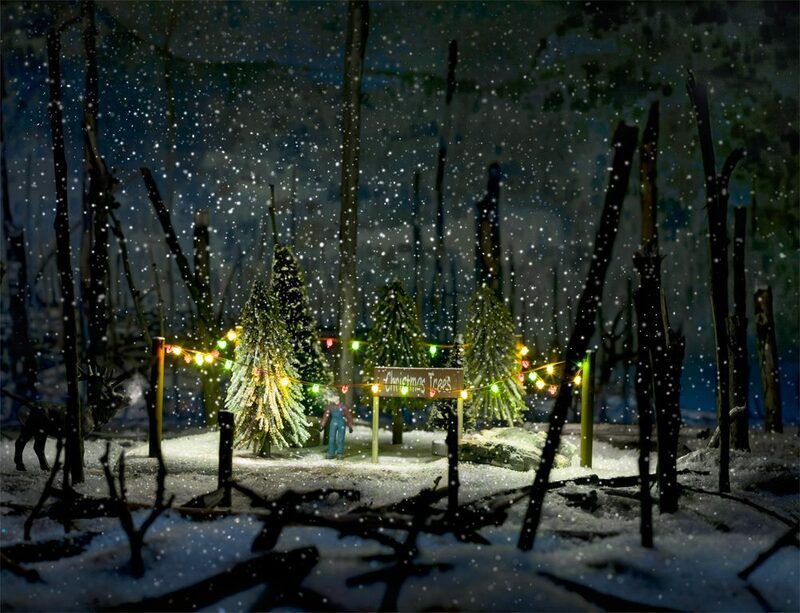 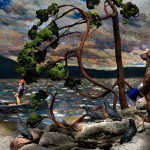 In Diana Thorneycroft’s new series Group of Seven Awkward Moments, the momentous humor Canada is famous for is contrasted with the nation’s dirty little secret: that it is not funny at all, and in fact, much too serious, bordering on menacing. 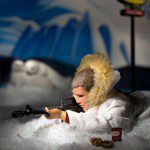 The new series of works falls into a line of art objects created by Canadian artists within the last few years that utilize parody and play to explode the hallowed imagery of nationalized corporatism. 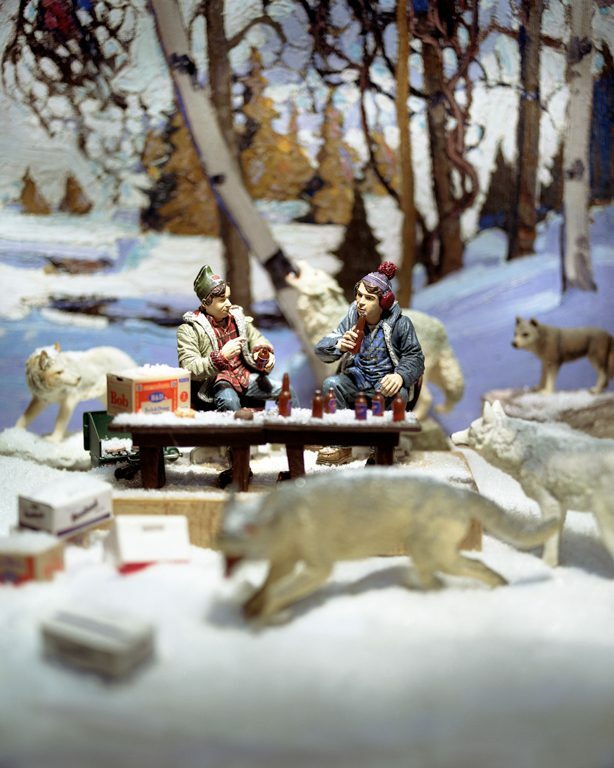 In the case of Thorneycroft, the use of backdrops that are reproduced works of the Group of Seven and Tom Thompson, combined with stereotypical iconic representations, produce strange entanglements of visual narratives that are at once laughable, and in the same engage preconceptions regarding what it is that defines a nation. 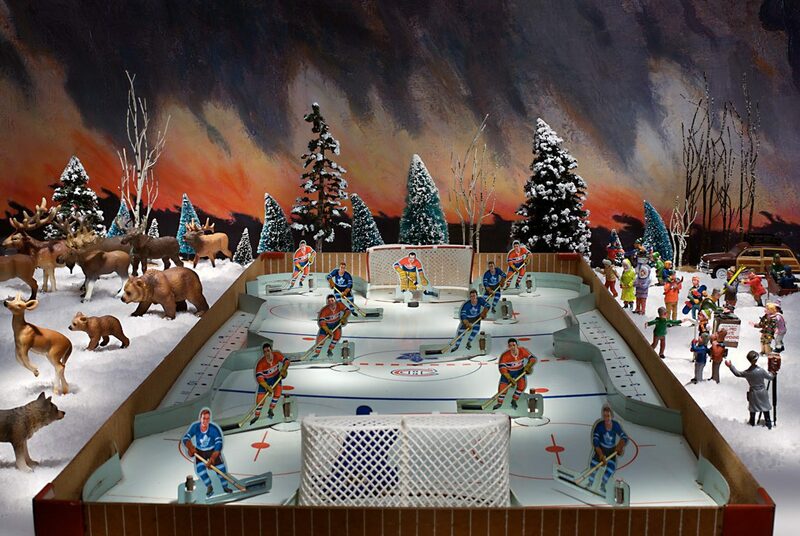 The idealization of an empty and prosperous landscape, claimed authentically Canadian while in the same owing much to Scandinavian landscape painters, is rendered as a manufactured fabrication. 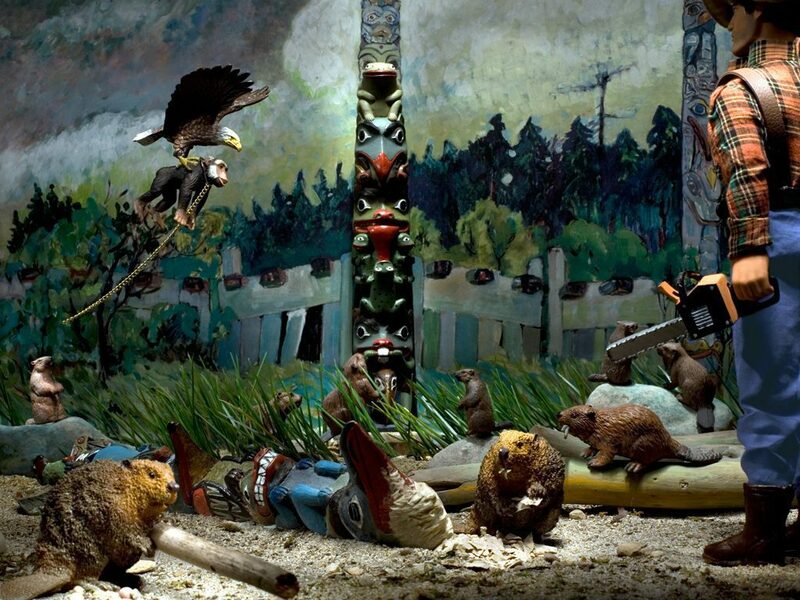 The series is littered with black humor, addressing issues of colonization, sexual identity, corporatism, environmental destruction and celebrity. 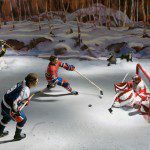 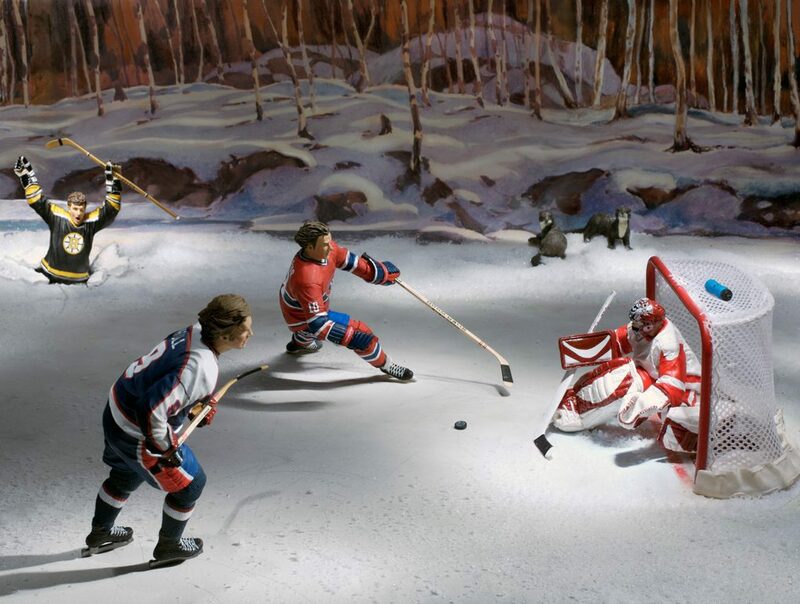 The image of Bobby Orr, for example, falling into the Don River to his death while his shimmy buddies concentrate on scoring, provides a dizzying moment of Canadian pastiche. 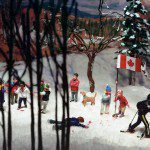 The works embody the manufactured, exportable, and fallacious concept of Canadian identity. 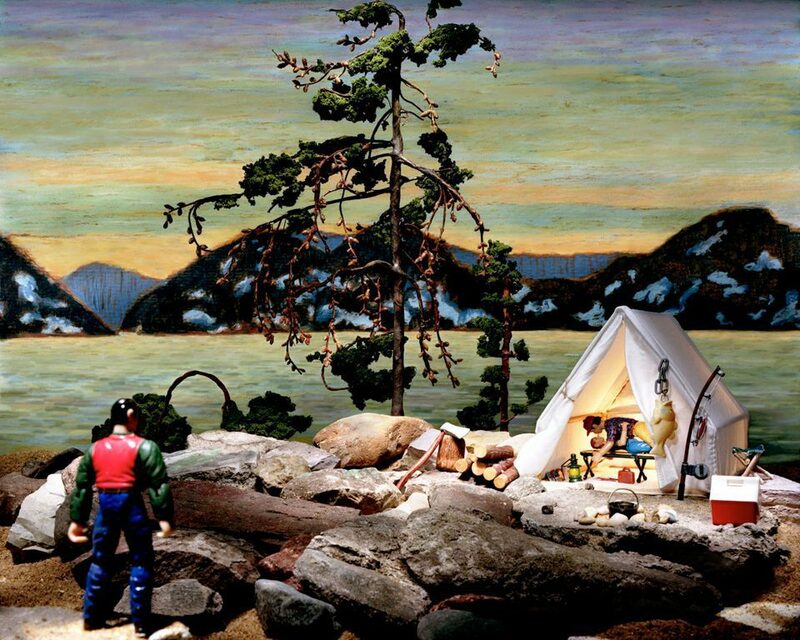 The paintings become the backdrop for a performance of tourist economies, simulating instances, rumor, innuendo and destruction: the unsaid of national narrative. 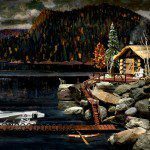 Group of Seven Awkward Moments follows the artist’s interrogation of popular representation and violence, but envelopes the series in the curtain of nationalism. 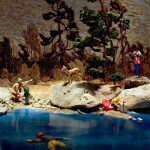 An empty landscape is an easy way to detract from the reality of its occurrence, those unsaid memories that betray any kind of consensus. 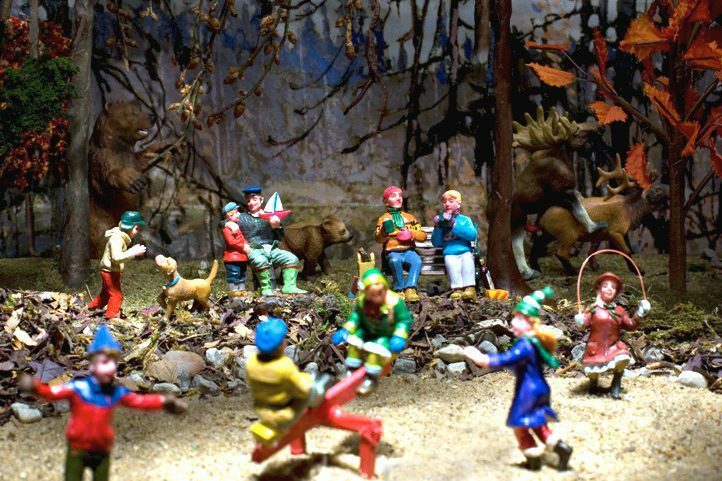 The work of Thorneycroft echoes the unsaid and the fabricated, leaving the viewer to judge any truth within the falsity of its construction.